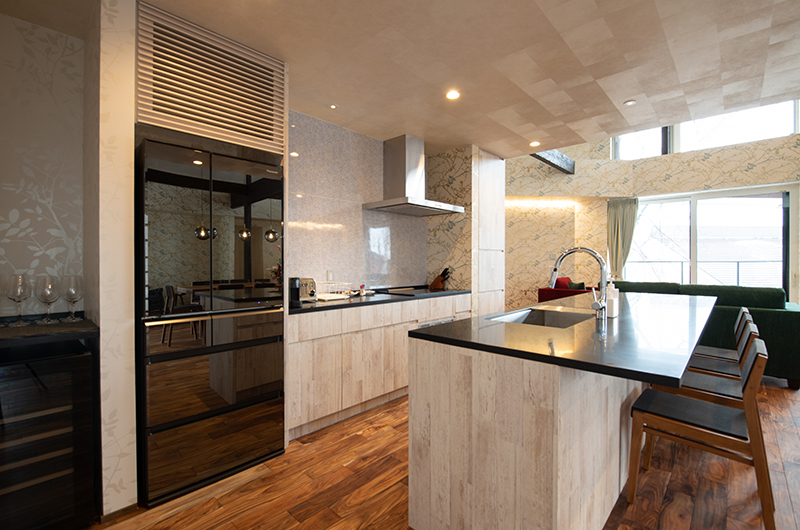 Kitsune House is a big, fun and stylish retreat in a quiet corner of Hirafu. 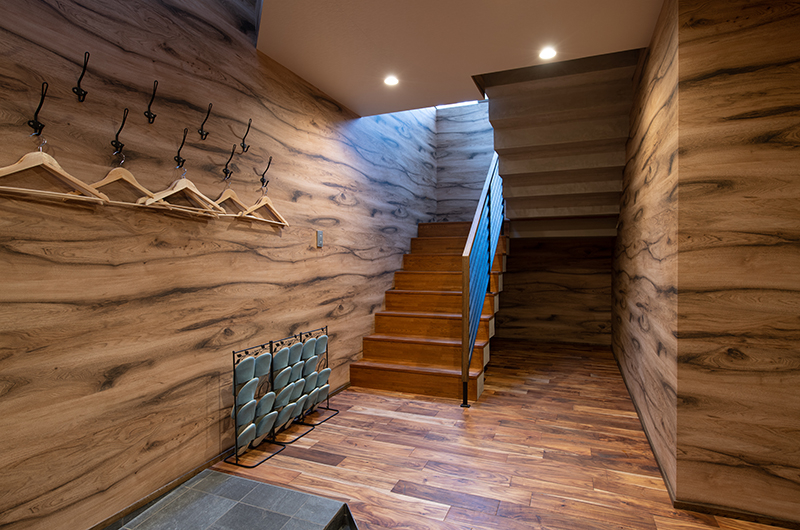 Kitsune House is a luxuriously appointed and beautifully crafted Niseko dream home. 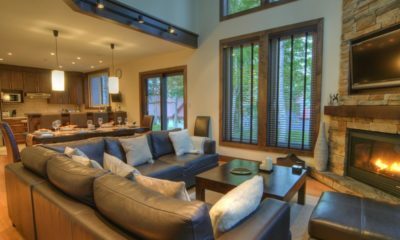 With cheerful interiors, expansive living area on the top floor, spacious bedrooms on the middle floor, and kids bunk room and media room on the ground floor, this place is tailor-made for fun-filled family holidays in the snow. 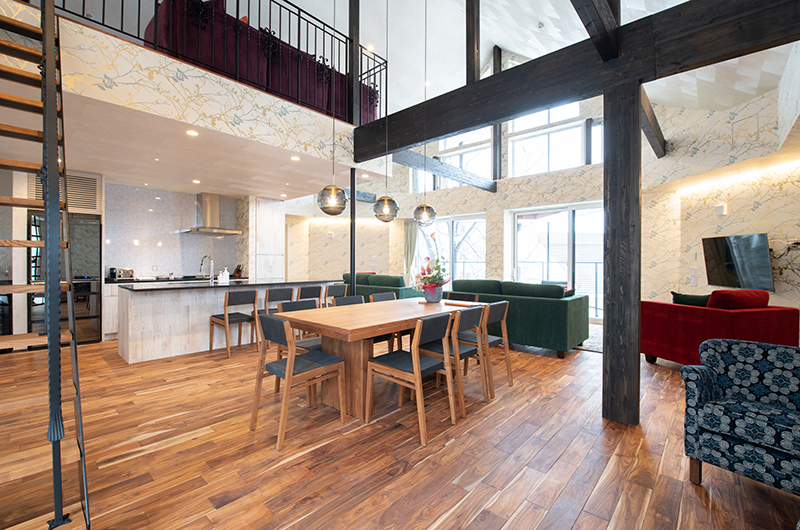 Kitsune House’s large living area with high ceilings, large windows and balcony make it a luxurious place to relax at the end of a day in the snow. 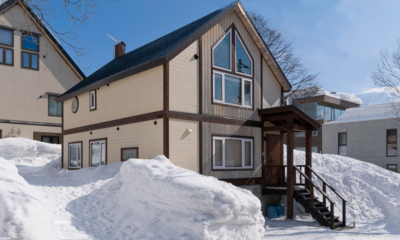 Located in a quiet street of prestigious Lower Hirafu, it’s also good for kids to play outside, with space alongside the house to build snowmen and snow caves. 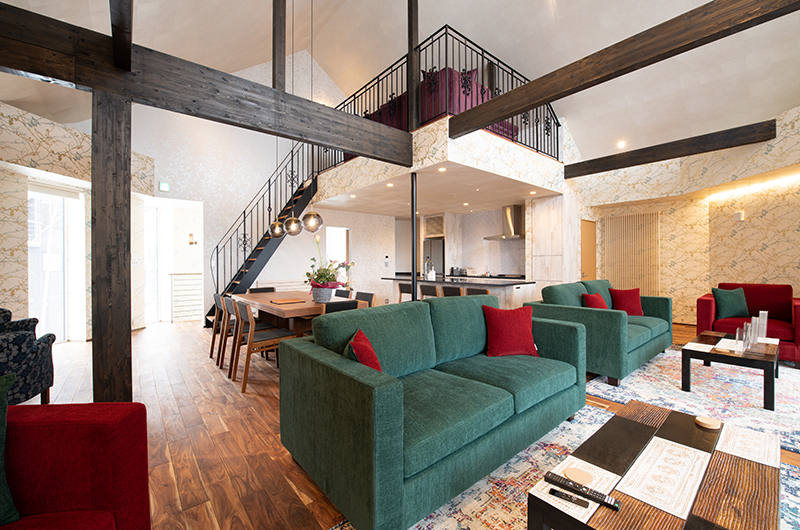 Built new in 2018 with all the comforts of modern Japanese chalet accommodation, Kitsune House will appeal to those looking for a mid-to-high-end chalet within walk and bus distance to restaurants, bars and the slopes. 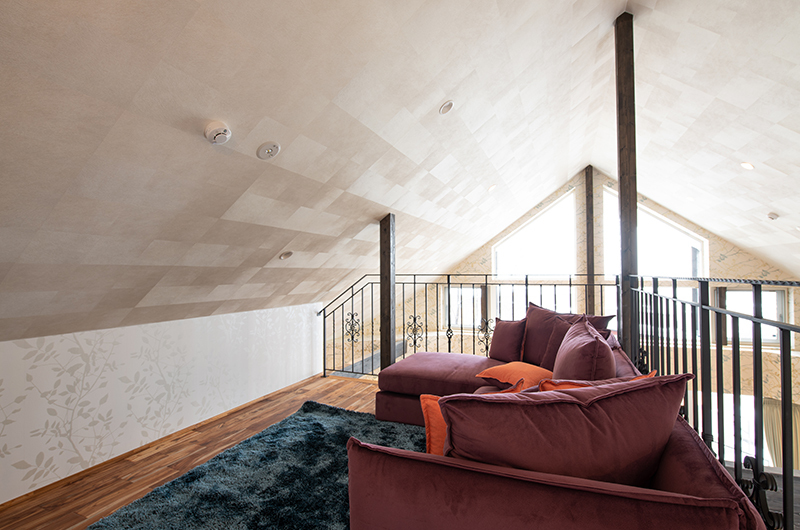 The living area on the top floor features lofted ceilings thanks to the peaked sloping roof, which will exude a feeling of space and peace for guests. 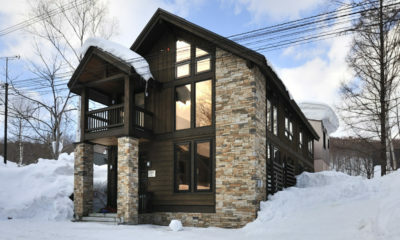 The chalet will be a modern alpine style with Japanese character. A fully-featured kitchen means entertaining and preparing meals is well-catered for. It is well equipped with modern entertainment requirements and of course WiFi internet. 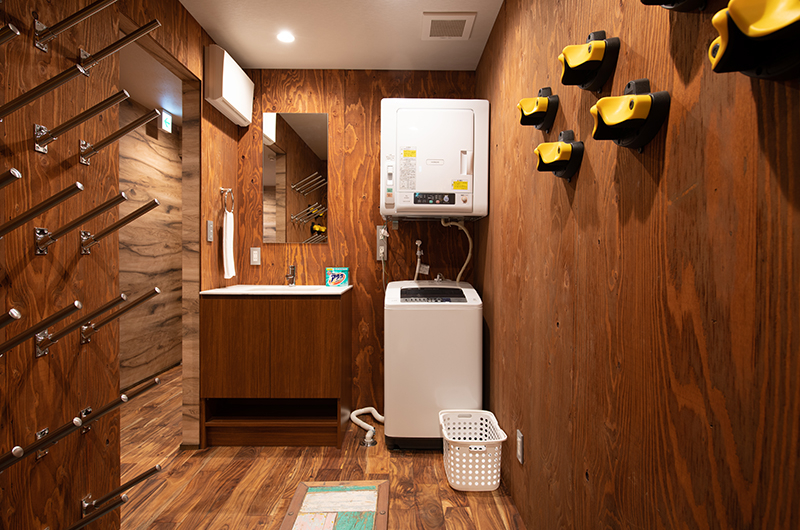 It comes with a drying room for storing and drying snow gear, laundry and garage if you’d like to hire a car. 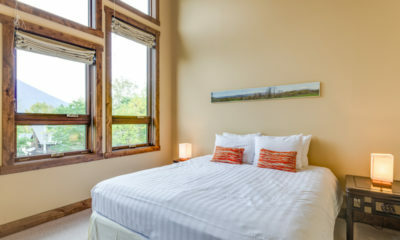 The master bedroom opens onto a large balcony with big windows to take in the views. 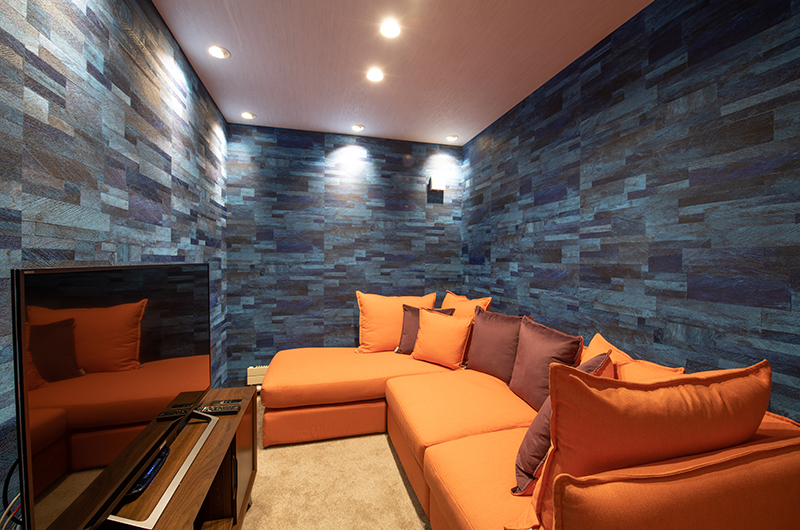 It has a large closet and single sofa with table. This is the largest bedroom (18sqm as opposed to 17sqm) and is the only room with a bath in the en suite and a walk-in wardrobe. It has a single sofa a table for relaxation and contemplation. 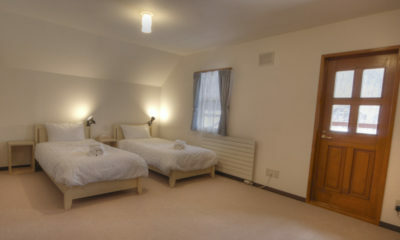 This is the smallest bedroom of the three main bedrooms and opens onto the same large balcony as the master bedroom. It also has a single sofa and table. 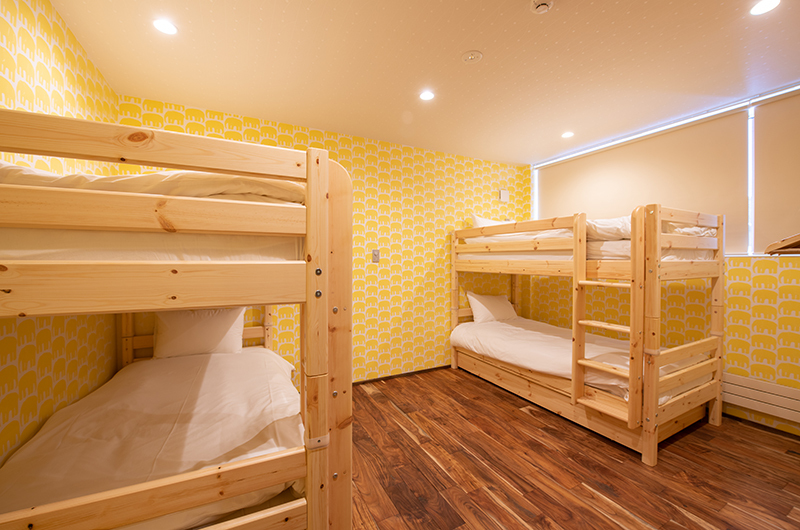 The bunk room is the only bedroom on the ground floor – right alongside the media room – making it the ultimate kids retreat! It’s also far removed from the living area on the third floor meaning kids can make as much noise as they like! 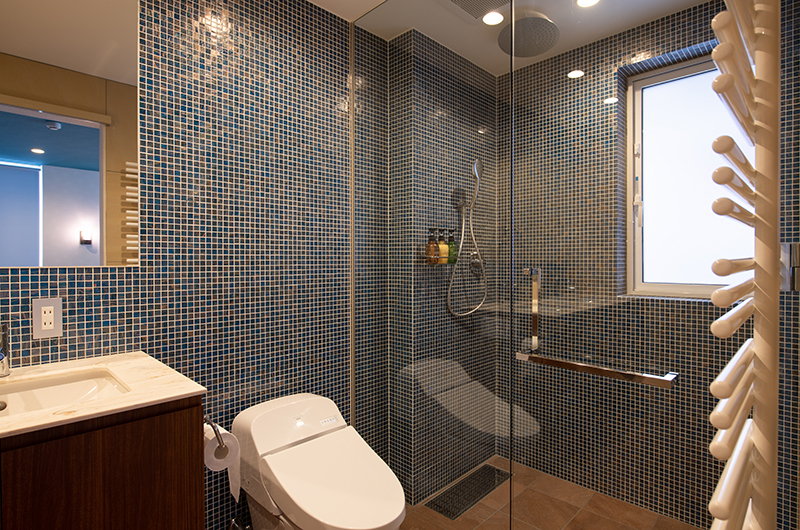 There is a bathroom with shower right outside the door. Note: room is tight with four adults. 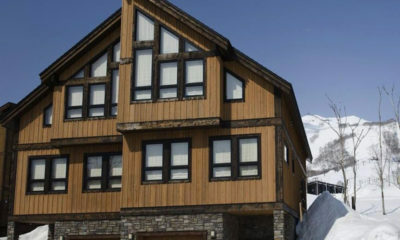 Kitsune House is located in a quiet street in Lower Hirafu, an area with plenty of new multi-million dollar chalets, a few older-style pensions and lodges, and some newer condominiums. There is plenty of snow piles up all around the village down here, making it the perfect environment for kids to play around the house. There is a free shuttle bus stop straight at the bottom of Kitsune House’s street – literally 50m walk away. This will have you to the lifts in about 5 minutes or less, and can also take you elsewhere around the village. It’s possible to walk from here into the heart of the village – probably 20 minutes in ski/board boots or 10 in walking boots. 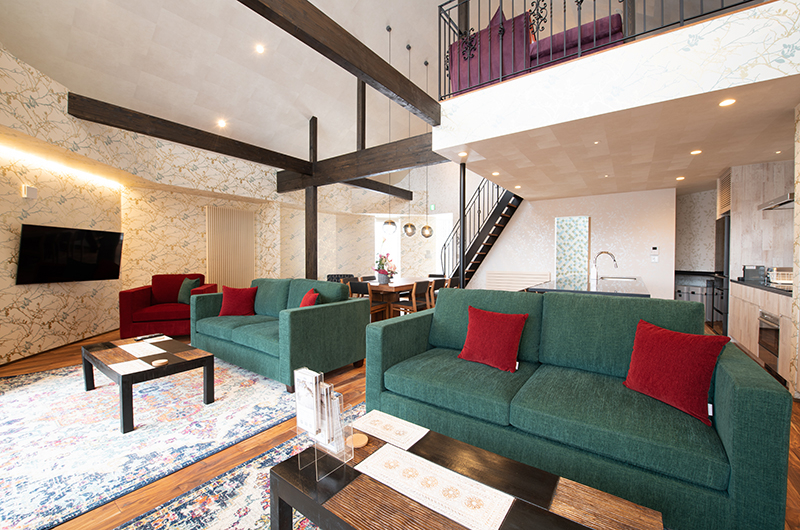 There are some of Niseko’s most laid back and authentic little bars and restaurants down in this part of the village. Be sure to try to book ahead at Rin, which is the closest restaurant to your house just 100m walk away in one of the back streets. Otherwise walk a little further to the Fridge Door Bar, Ebisutei or Coto Bar. 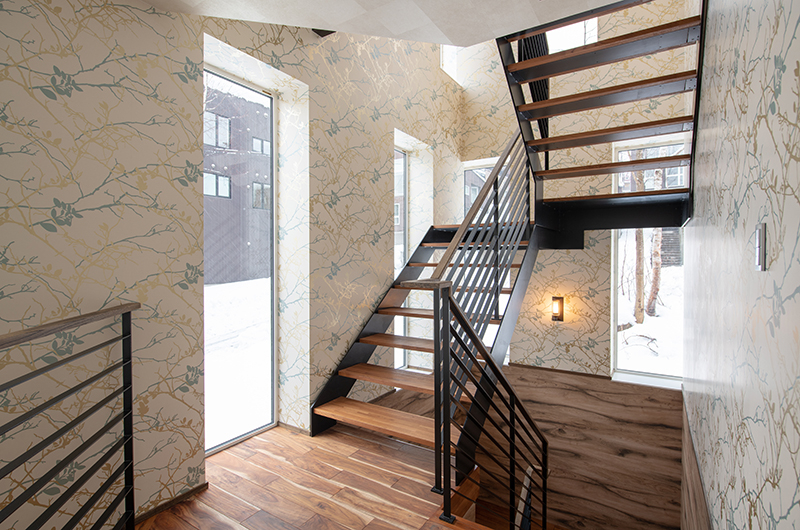 Kitsune House is built over three floors – actually, make that four if you count the loft space above the living room which works as an office space. If you really need to catch up on some work while you’re in town, this cosy nook is the perfect place for it. 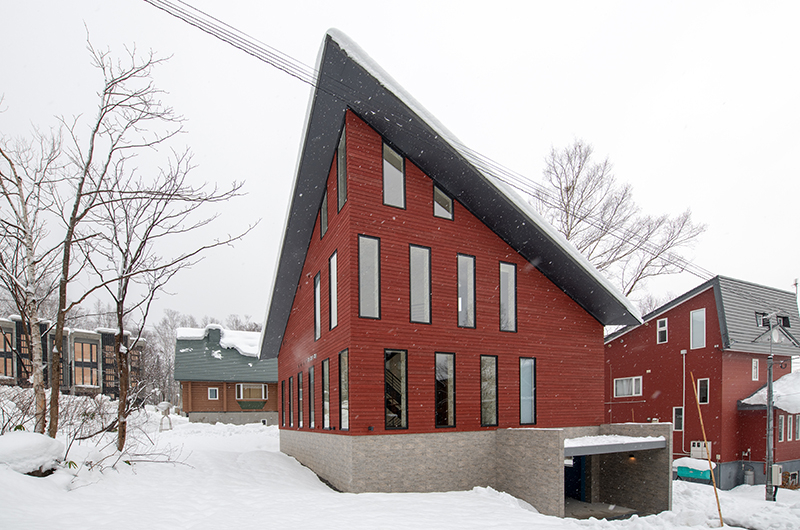 Kitsune House sits pretty in Hirafu’s Lower Village, surrounded by other chalets and mountains of pure white snow. Such a funky chalet with lots of colour and great design! 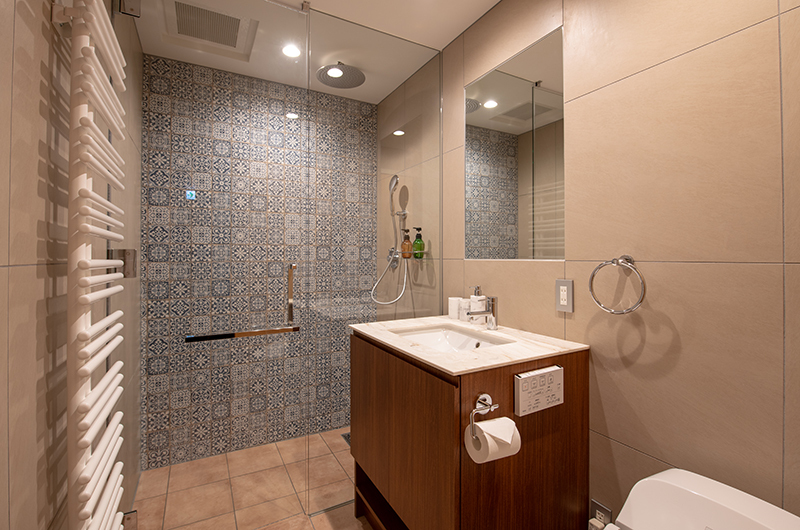 All the bedrooms and bathrooms have unique wallpapers and colourful tiles and there’s also a bunk bedroom for the kids. 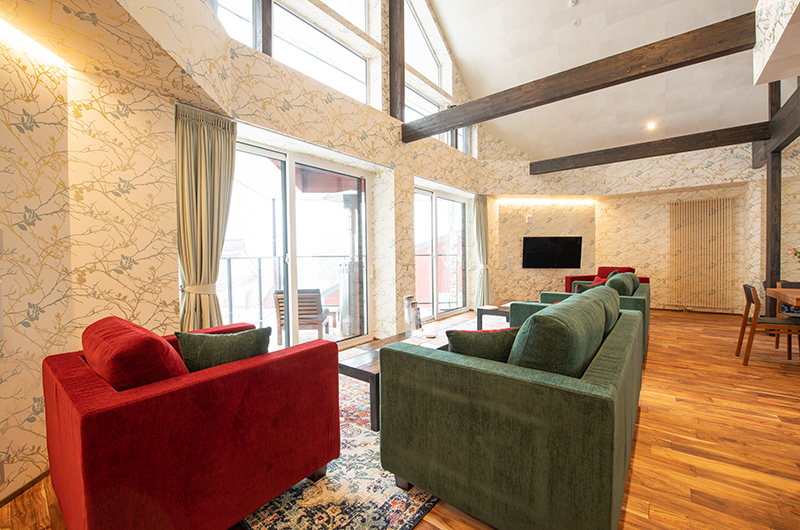 Kitsune House has everything you need, from a ski room to underfloor heating and full laundry facilities. The Mt Yotei views were a definite plus! 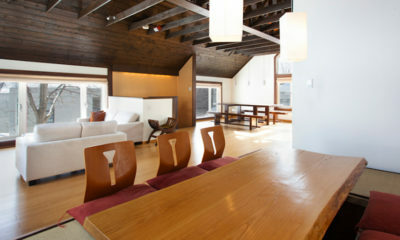 The location is great too; in the lower village but just a short walk to all the restaurants. Shika is a beautifully appointed, well located luxury lodge ideal for family and group stays. 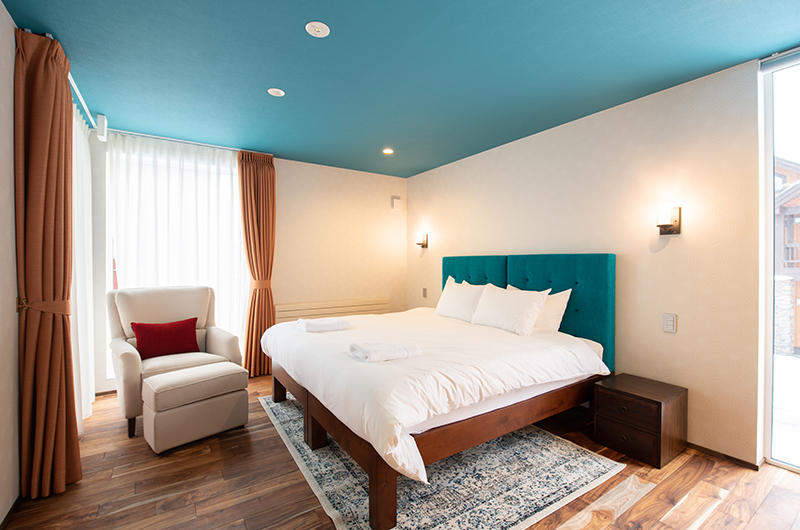 Kisetsu is well suited for groups or families – great location, comfortable living and convenience. 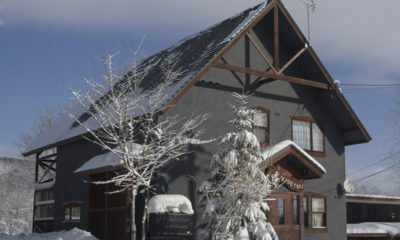 Old Man Creek is a luxurious twin chalet in deep, snowy surrounds with beautiful scenic views.